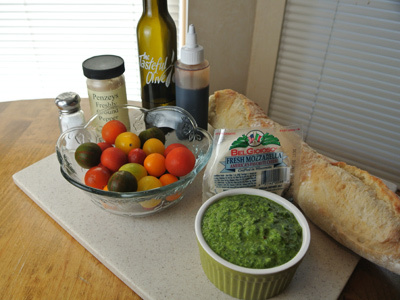 I always make more pesto than I need for one meal so I have to come up with other ways to use it. 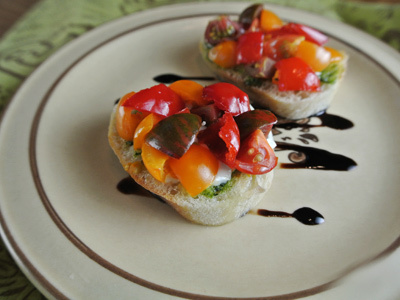 One of my favorites is Crostini’s with fresh mozzarella and chopped tomatoes. I had a pint of heirloom tomatoes in the fridge and thought how colorful and pretty they would look propped up on a sliced french baguette. They are the perfect companion to any pasta dish and a leafy salad which I’m working on for dinner tonight. So easy to put together. Some cherry tomatoes, whatever variety you like, some pesto, fresh mozzarella cheese, olive oil, salt and pepper and a little balsamic glaze. And don’t forget a good crusty french baguette. Slice your baguette into slices about 1/2 inch thick. 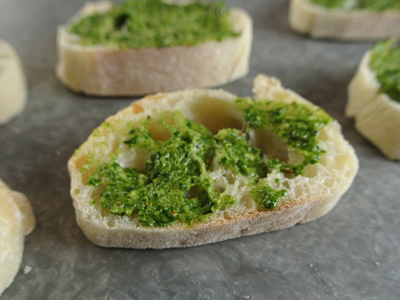 Spread a bit of pesto over top of each slice. Add a thin slice of fresh mozzarella. 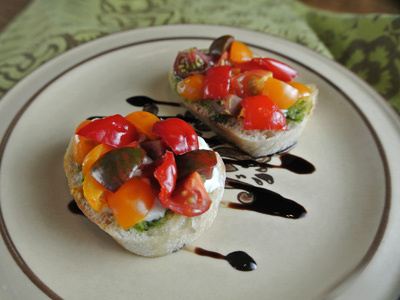 Top with chopped cherry tomatoes and drizzle with olive oil and a sprinkle of salt and pepper. Place on a baking sheet lined with aluminum foil for easy clean up. 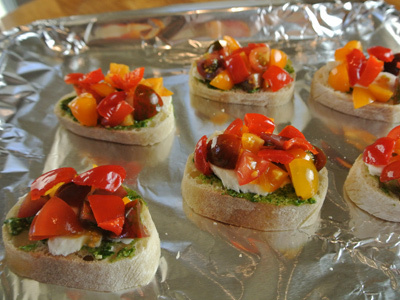 Place in oven or toaster oven for about 5 – 8 minutes at 375 degrees. The baguette slices will be slightly toasted with melted mozzarella and warm tomatoes. Add a drizzle of balsamic glaze for a final touch. 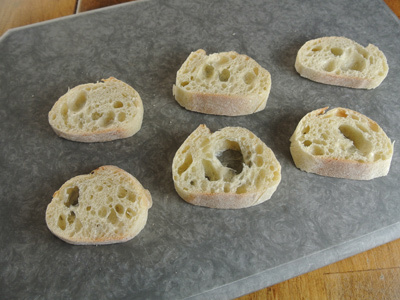 Cut baguette into 12 (1/2 inch) slices. 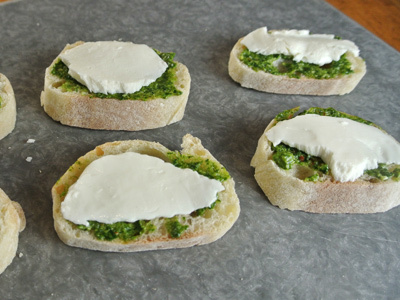 Spread pesto over each slice and top with a thin slice of fresh mozzarella cheese. Top with chopped tomatoes, drizzle with olive oil and salt and pepper. Place on a baking sheet and bake 5 – 8 minutes or until bread is slightly toasted and cheese has melted. Drizzle balsamic glaze over top if desired. 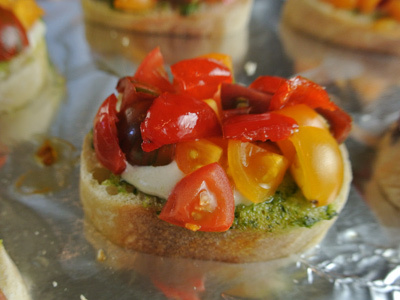 This crostini dish looks divine Jan. I adore heirloom tomatoes. Yummy!